The National Weather Service in Pueblo, Colorado is looking for citizens who would like to volunteer to join its SKYWARN Weather Spotter Network. During the winter season, these citizen volunteers are primarily asked to report snow depth, and occurrences of ice, wind, and fog. During the warm season, spotters are asked to report severe weather conditions, such as large hail, damaging winds, tornados, etc. directly to the National Weather Service in Pueblo using a toll-free 800 telephone number. Special skills and equipment are NOT needed. The National Weather Service in Pueblo will provide detailed instructions, and information and training on reporting weather. Volunteers are especially needed in the Lake and Chaffee counties, the San Luis Valley and surrounding mountains, and the southeast plains of Colorado. SKYWARN Weather spotters continue to be a most important link in the National Weather Service's severe weather warning process. Information from weather spotters has often allowed for confirmation of severe weather after an official warning has been issued, and infrequently is the first notice that severe weather has developed in an area. 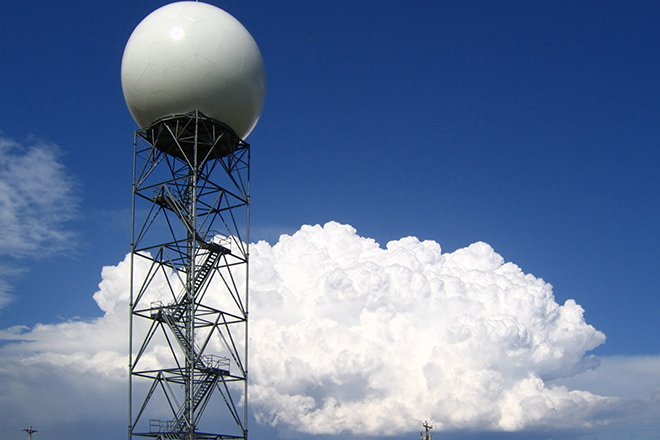 Volunteers provide valuable information that, in some instances, would improve weather forecasts and warnings in your area. Anyone interested in becoming a SKYWARN Weather Spotter for the National Weather Service in Pueblo can do any one of the following: - visit the website of the National Weather Service in Pueblo (www.weather.gov/pueblo), click on "Local Information," and in the drop down menu, click "NWS Pueblo Spotter's Page." Fill out the spotter form at the bottom of that page. Cold and Snow Coming Later this Week?